A unique oppourtuinity to hear from MARK SCANDRETTE – one of the leading thinkers in emerging church and practical spirituality. 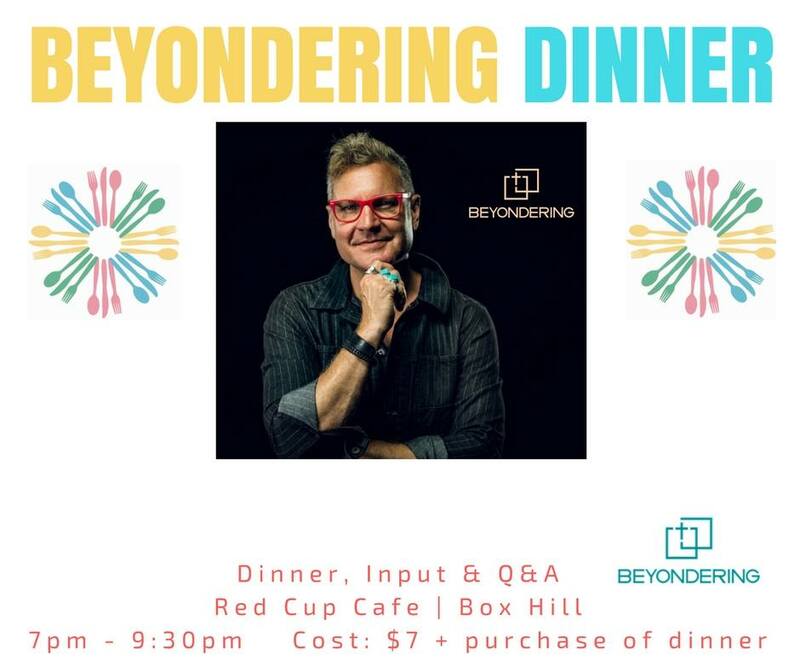 We’ll share a meal together , hear from Mark and then have time for some Q&A. Mark Scandrette is an author, speaker, activist and networker among innovative Christian leaders. Mark is the author of 7 books and is the founding director of ReIMAGINE: A Center for Integral Christian Practice based (www.reimagine.org), where he leads an annual series of retreats, Learning Labs and projects designed to help participants integrate the teachings of Jesus into all aspects of life through shared practices and intentional community experiments. He and his wife Lisa and their three children live in the Mission District of San Francisco.